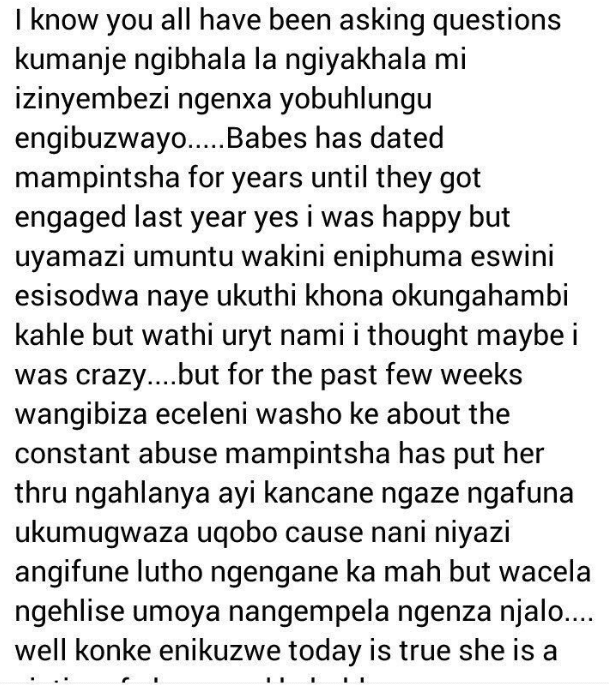 Babes sibling has confirmed that the abuse allegations against Mampintsha are indeed true and that Babes had opened up to her about Mampintsha’s constant abuse after their engagement which has since been called off. 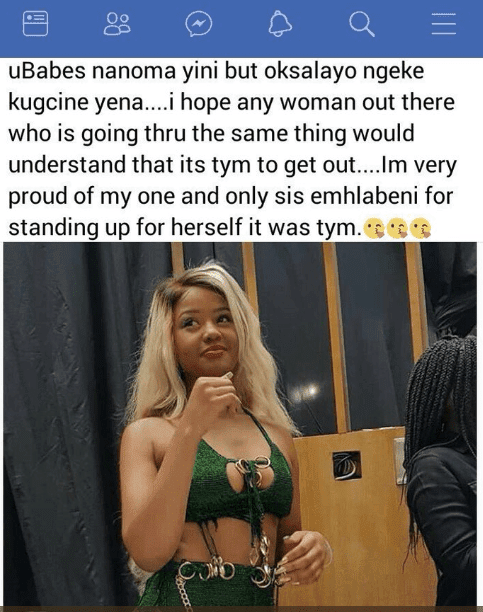 Babes Wodumo’s sister has opened up about the abuse and the pain that has been inflicted on her sister. Babes’ sister then went on to confirm that Babes is the victim of abuse in the hands of Mampintsha. “…she is the victim of abuse and it hurts to be abused by the man you love. 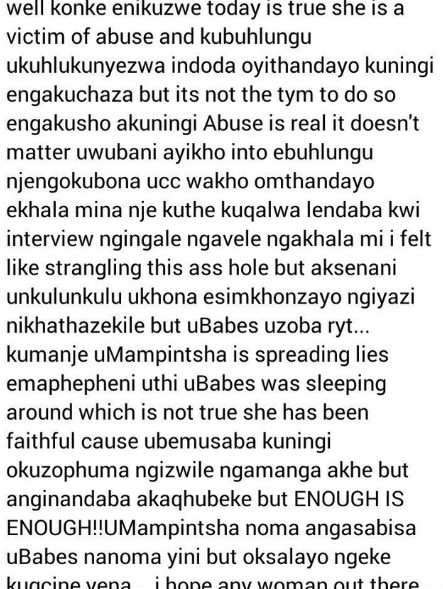 There is a lot I could say but this is not the time to do so.” The sister went on to say that Mampintsha is busy telling lies to the media about Babes. Here’s the rest of her sister’s post about the current situation. In other news, the Not In My Name movement will be offering Babes counselling and support and is said to be meeting Babes today. 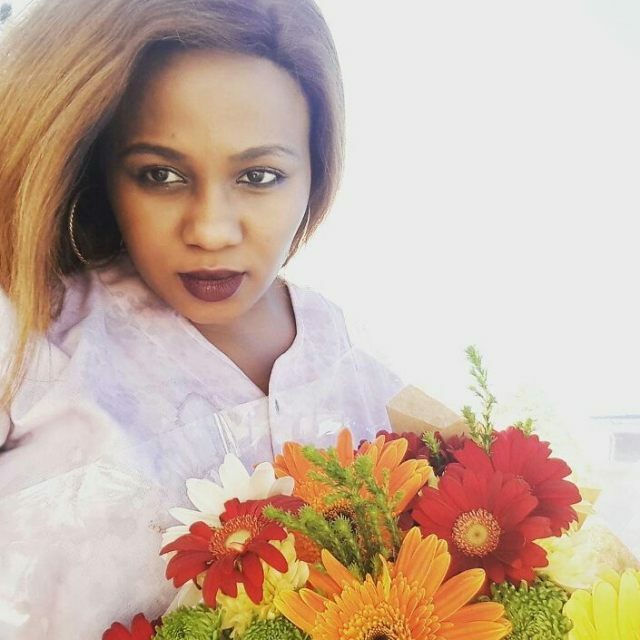 The movement’s founder, Siya Jentile who spoke to Power FM on Saturday morning has commented on the Babes and Mampintsha situation.